Laundry is part of life’s weekly grind. 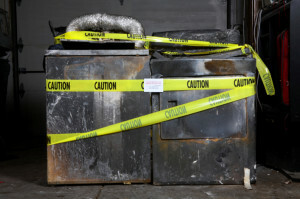 But did you know that dryers cause roughly 15,500 home structure fires, 29 deaths, 400 injuries and $192 million in direct property loss each year? What’s more, most dryer fires happen in the winter. Further compounding the problem is the fact that many people now install dryers outside of their basements. This typically results in dryer vent pipes being much longer. Those longer vent pipes have a greater likelihood of being twisted and turned to accommodate the structure of the home—and that creates spaces for lint to collect. Kevin Sippy, an insurance adjuster in ERIE’s Wisconsin Branch, inspects about five dryer fires every year. One particularly bad one happened when a customer laundered an item containing a type of rubber not meant to be dried at a hot temperature. When she turned the dryer to high, the material combusted and caused a blaze that destroyed $44,000 worth of property. 1. Clean out the lint. “It starts with cleaning out the lint filter every time you use the dryer.” says John Hall, Ph.D., division director of fire Analysis & Research for the National Fire Protection Association. He also advises clearing out the vent pipe to reduce the chance of fire and to maintain the efficiency of the dryer. 2. Install with care. Be sure to follow the manufacturer’s instructions when installing the vent pipe. Use a short, straight pipe that’s an adequate distance from the wall. By reducing the bends in the dryer vent pipe, it creates fewer opportunities for lint to gather. If you have to vent your dryer over a long distance, consider investing in a dryer vent fan. These automatic electric devices speed up airflow through the duct every time you turn on your dryer to keep things moving along. 3. Clear out combustibles. Move any flammables like cleaning supplies far away from your dryer. Also regularly sweep out dust in the areas around and underneath your dryer. 4. Opt for a metal dryer duct. Research shows that flexible foil or plastic ducts can sag and lead to lint buildup at low points. Metal ducts of any variety don’t sag, and they’re more likely to contain any fires that would start. 5. Read tags. If the care label reads tumble dry low, don’t turn the dryer up to high. Also use caution with certain items like bath mats, padded bras and bibs—they may contain rubber that shouldn’t be exposed to hot temperatures. 6. Exercise extra caution with flammable liquids. Wash clothing stained with volatile chemicals more than once—and definitely opt to line dry over machine dry. 7. Use your clothes to diagnose problems. Clothes that no longer feel dry or that are extra hot to the touch after a normal dry cycle are a telltale sign that something’s wrong. Before doing the next load, check for a plugged vent and clean out any lint. 8. Don’t dry and dash. Turn off your dryer if you need to step out during the laundry cycle. 9. Give the outdoor vent a peek. Make sure that the outdoor vent flap isn’t covered by snow or debris. 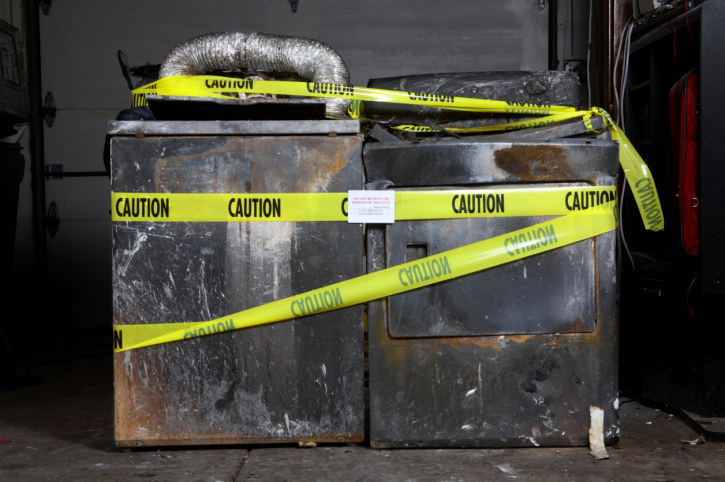 Keeping a routine eye on your property by doing inspections can help minimize the risk of a dryer fire.